WASHINGTON, DC, February 9, 2011 (ENS) – The Republicans and Democrats massed their forces today in the House of Representatives in a fight over the ability of the U.S. Environmental Protection Agency to regulate the emission of greenhouse gases. A different House from the Democratic-led body that passed a carbon dioxide cap-and-trade bill in June 2009, this Republican-led body is considering a bill that would prevent the U.S. EPA from regulating the emission of greenhouse gases from stationary sources such as power plants and refineries. 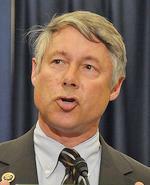 The House Energy and Commerce Committee today held its first hearings on the draft discussion bill from the new chairman, Republican Congressman Fred Upton of Michigan. The bill would overturn the EPA’s December 2009 finding that the emission of greenhouse gases endanger the public health and welfare. Along with a 2007 U.S. Supreme Court ruling that greenhouse gases are pollutants and the EPA has the duty to regulate them, this endangerment determination is the basis for EPA regulation of greenhouse gases. Far from being an invention of the Obama administration’s EPA, the Bush-era EPA administrator also supported a positive greenhouse gas endangerment finding. The committee’s top Democrat, Congressman Henry Waxman of California, Tuesday released a private letter that former EPA Administrator Stephen Johnson wrote to President George W. Bush on January 31, 2008. “It addresses the same issue as your legislation: whether carbon emissions endanger the public,” Waxman wrote Friday in his own letter to Upton, in which he shares the contents of Johnson’s private letter to President Bush. “The latest climate change science does not permit a negative finding, nor does it permit a credible finding that we need to wait for more research,” Johnson wrote. 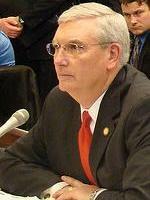 Administrator Johnson released an advanced notice of proposed rulemaking in July 2008, which solicited public comment on an endangerment finding. 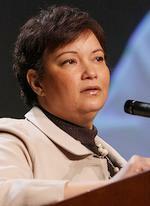 The final endangerment finding was made by the Obama admininstration’s EPA head Lisa Jackson in December 2009. Jackson testified today before the House Energy and Commerce Committee on Chairman Upton’s draft bill to eliminate portions of the Clean Air Act. “Last year alone, EPA’s implementation of the Clean Air Act saved more than 160,000 American lives; avoided more than 100,000 hospital visits; prevented millions of cases of respiratory illness, including bronchitis and asthma; enhanced American productivity by preventing millions of lost workdays; and kept American kids healthy and in school,” Jackson told the committee. Jackson emphasized that the Clean Air Act itself creates jobs, particularly in the growing U.S. environmental technologies industry. “In 2008, that industry generated nearly 300 billion dollars in revenues and 44 billion dollars in exports,” she said. The bill leaves in place the tailpipe standards for cars and light trucks from model years 2012 through 2016, and allows National Highway Transportation Safety Administration to continue to regulate fuel economy after 2016. Congressman Upton and many of his Republican colleagues deny that the global climate has been affected by any of six gases emitted by human activities such as the burning of fossil fuels and other industrial processes. But Democrats maintain the science defining climate change and the human role in driving it is clear and compelling. Ultimately, Republicans cannot win the fight over the Energy Tax Prevention Act because President Barack Obama, a Democrat who supports limiting greenhouse gas emissions, is likely to veto such a bill if it reaches his desk. Meanwhile, the EPA is holding a series of cross-country listening sessions to gather public input and, as part of a settlement agreement announced December 23, 2010, will propose greenhouse gas standards based on existing technologies for power plants in July 2011 and for refineries in December 2011. 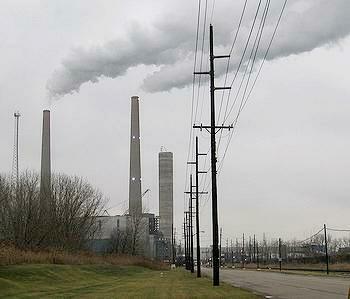 The agency intends to issue final standards for power plants in May 2012 and in November 2012 for refineries. 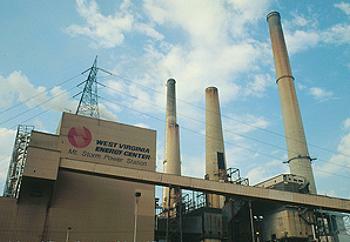 Click here for a schedule of EPA listening sessions on greenhouse gas standards.